Bạn nên exchange JR pass khi mới đến, hỏi họ JR office. Osaka (Kansai) to Sapporo (New Chitose) buổi sáng. 16:40 Shin-Hakodate station to Hakodate depart at 16:45. Từ Nagano hotel, chúng ta sẽ đi bullet train to Tokyo station. From Tokyo station ban đi ra Narita airport. 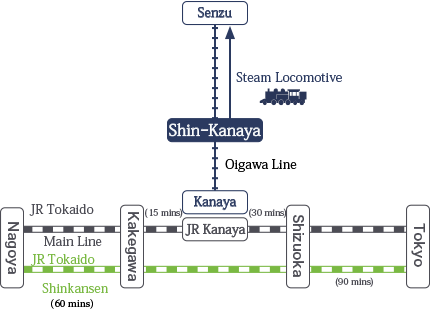 Take the train bound for Shin-shimashima of Kamikochi Line at the platform No. 7 of JR Matsumoto Station, then transfer to the bus bound for Kamikochi at Shin-shimashima Bus Terminal. Some non-stop buses run to Kamikochi from Matsumoto Bus Terminal. Shizutetsu buses run from JR Shimizu Station to the end of the Miho Peninsula. The closest bus stop to the Hagoromo-no-Matsu tree is Sekaiissan Miho-no-Matsubara Kaminomichi Iriguchi bus stop (25 minutes, 360 yen one way from Shimizu Station, departures every 15-30 minutes). From Oigawa Railway's Senzu Station, take the Oigawa Road Bus bound for Sumatakyo and get off at "Sumatakyo Onsen"
e Kamikochi, a highland plateau famous for its beautiful mountain scenery; the unique Tateyama Kurobe Alpine Route; and Hakuba, one of Japan's leading ski resort. The park is also loved for its outstanding hot springs and autumn colors.